Master-planned Mission Viejo is the largest city in southern Orange County, boasting a rich collection of homes and businesses. Known as one of the safest cities in the United States, Mission Viejo homes are in close proximity to excellent schools, fun recreational activities and a great variety of businesses. 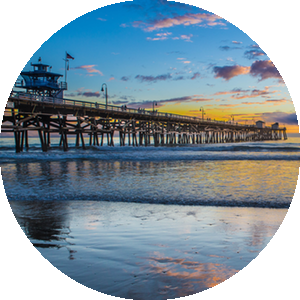 Residents of Mission Viejo enjoy a sun-kissed lifestyle close to California white sand beaches and waterfront. Mission Viejo houses range in price and style, offering a vast selection that will suit any need and budget. From single-family starter homes to multi-million dollar luxury estates, this beautiful community is a great place to invest in real estate. Mission Viejo property has been able to attract a number of premium businesses with incentives like fast-track permitting and no licensing fees. As a result, hundreds of business owners have invested in Mission Viejo and have created a terrific shopping and restaurant community. Located in the heart of the city, Lake Mission Viejo offers private lake access to all residents with a home within the Lake Mission Viejo Association boundaries (approximately the boundaries of Mission Viejo). Lake Mission Viejo offers two private beaches with playgrounds, snackbars and sport courts, great fishing and a fleet of rental boats. During the spring and summer, Lake Mission Viejo hosts a number of well-loved musical concerts, movies and events. 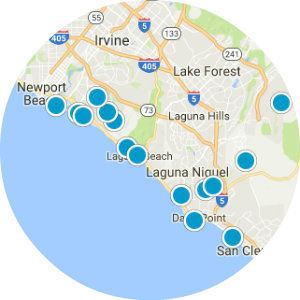 Mission Viejo is a short distance from a number of other popular communities, including Irvine, San Juan Capistrano, Laguna Niguel and San Clemente.